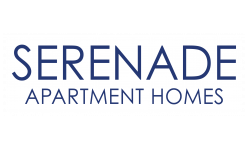 At Serenade at Riverpark, we proudly offer multiple floor plans for 1, 2, and 3 bedroom apartments in North Oxnard. Indulge in the luxury features of our apartment homes. From our deep, farmer sinks to our hardwood floors, our Oxnard, CA apartments will not disappoint. Join in on all the excitement at Serenade at Riverpark. Check the availability on our floor plans and apply online for your future home today. Apply For Your New Oxnard Apartment Today! If you are looking for a 1, 2 or 3 bedroom apartment in Oxnard, California please use our simple online application today. We look forward to welcoming you into your new home!